édité le 22/12/2015 - Plus de news de "CHEVRON" - Voir la fiche entreprise de "CHEVRON"
Chevron Corporation announced that its wholly-owned subsidiary, Chevron U.S.A. Inc., has signed a non-binding liquefied natural gas (LNG) supply Heads of Agreement (HOA) with China Huadian Green Energy Co., Ltd. When the agreement is finalized, China Huadian Green Energy is expected to receive up to 1 million metric tons per annum (MTPA) of LNG over 10 years starting in 2020. "This is an important step in the commercialization of Chevron's natural gas holdings in Australia and the establishment of our global liquefied natural gas portfolio," said Pierre Breber, executive vice president, Chevron Gas and Midstream. "As Chevron continues to grow into one of the world's largest LNG suppliers, this agreement represents further progress and diversification of our sales portfolio." "We welcome the opportunity to supply LNG to China Huadian and look forward to building lasting relationships with our customers in the region as the Chevron-operated Gorgon and Wheatstone projects move into operations," said Roy Krzywosinski, managing director, Chevron Australia. "The China Huadian agreement demonstrates Chevron's equity gas from Australia is well-placed to meet the growing demand for natural gas in the Asia-Pacific region." China Huadian Green Energy Co. Ltd. is a subsidiary of China Huadian Group, which is one of the largest state-owned power generation companies and has a leading role in gas-fired power generation in China. The Gorgon Project is a joint venture of the Australian subsidiaries of Chevron (47.3 percent), ExxonMobil (25 percent), Shell (25 percent), Osaka Gas (1.25 percent), Tokyo Gas (1 percent) and Chubu Electric Power (0.417 percent). The Gorgon Project combines the development of the Gorgon Field and the nearby Jansz-Io Field. Facilities being built on Barrow Island include an LNG facility with three processing units capable of producing 15.6 MTPA of LNG, a carbon dioxide injection project and a domestic gas plant. Chevron's subsidiaries in Australia are also developing the Wheatstone Project as an LNG and domestic gas operation near Onslow, in the Pilbara region of Western Australia. The project's initial capacity is expected to be 8.9 MTPA of LNG. The project also includes a domestic gas plant. 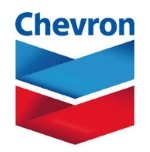 Chevron Corporation (NYSE: CVX) is one of the world's leading integrated energy companies. Through its subsidiaries that conduct business worldwide, the company is involved in virtually every facet of the energy industry. Chevron explores for, produces and transports crude oil and natural gas; refines, markets and distributes transportation fuels and lubricants; manufactures and sells petrochemical products; generates power and produces geothermal energy; and develops the energy resources of the future, including biofuels. Chevron is based in San Ramon, Calif.